Sceptre was invited to attend the Queen’s Diamond Jubilee Celebrations on the Thames, and was chartered by Mr Dennis Mendoros, Deputy Lord Lieutenant of Lancashire, for the event. 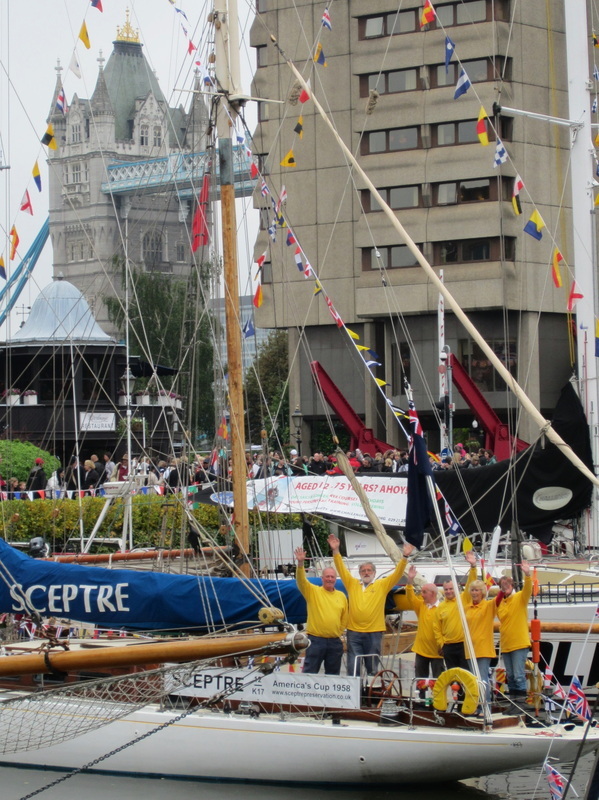 We were delighted to be able to take Sceptre to such a prestigious national celebration, and spent an exciting few days in St Katharine Docks, berthed alongside other famous British yachts such as Sir Robin Knox Johnston’s Suhaili, Jolie Brise (a pilot cutter, the winner of the inaugural Fastnet Race in 1925), Sir Francis Chichester’s round-the-world ketch Gypsy Moth IV, and many others. 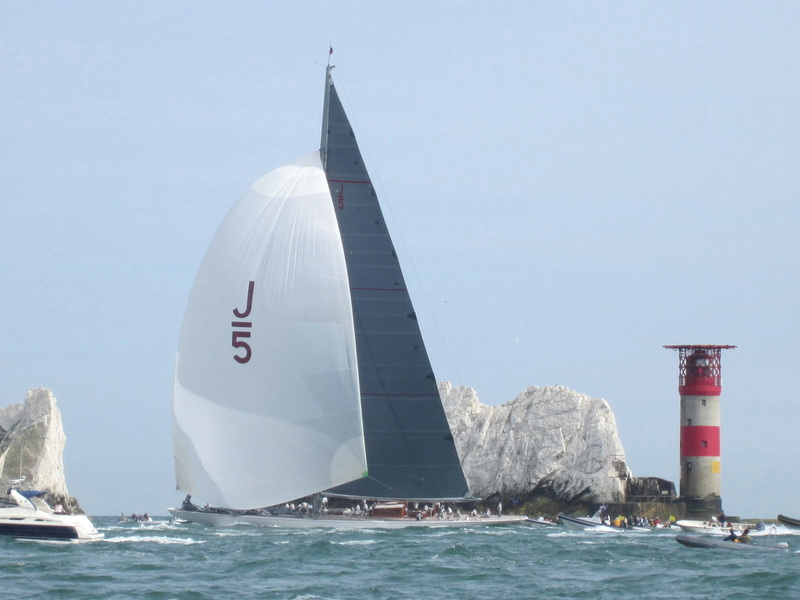 Not such a successful event for Sceptre this year: she had to retire at Hurst Castle with steering failure. 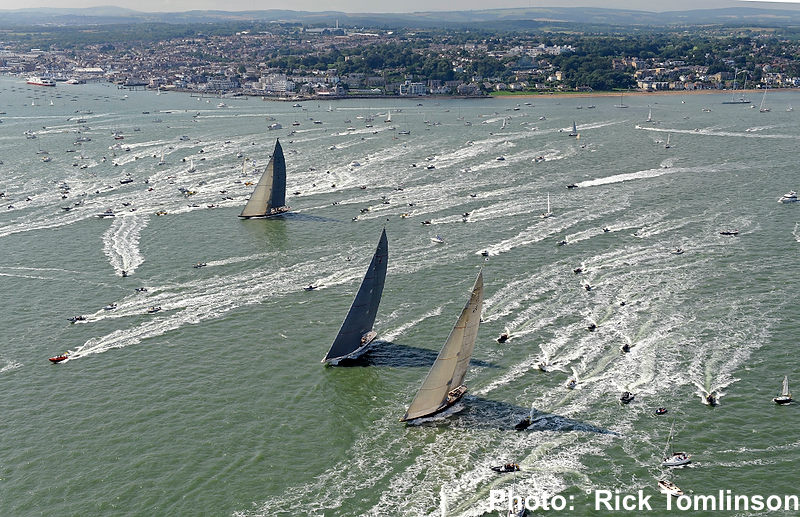 Sceptre joined hundreds of other spectator boats to see the three ‘J’s – Lionheart, Velsheda and Ranger – set off round the Isle of Wight towards Bembridge, competing for the King's Hundred Guinea Cup (last won by Eric Maxwell with Sceptre in the 1960's!). We then sailed to the Needles to wait for their return. Usually one of the larger sailing boats on the water, Sceptre was dwarfed by these magnificent 40m yachts! 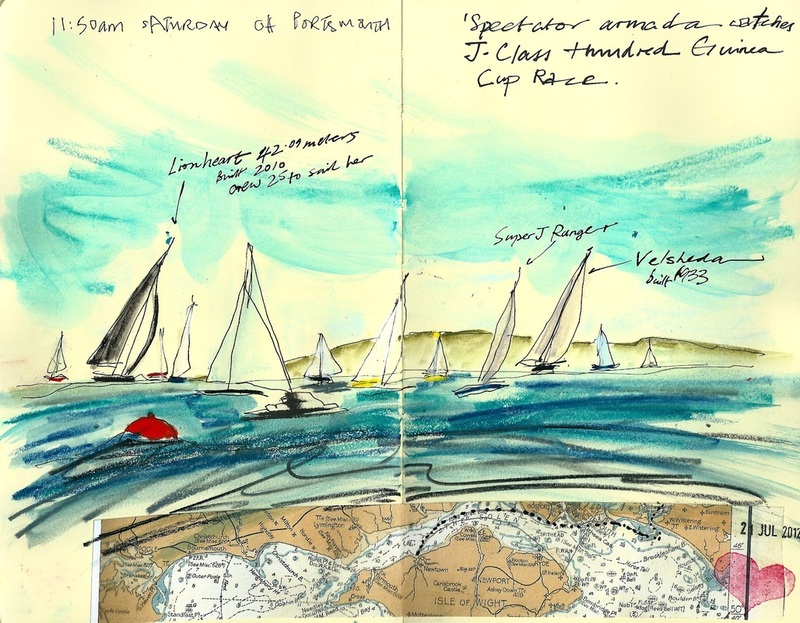 A family cruise down the coast to Dartmouth and Salcombe, returning via Torquay: a hot and sunny week with some glassy days but also some great sailing. 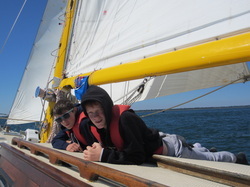 The National Schools Sailing Association chartered Sceptre as their President’s Prize for deserving young sailors – an enjoyable four days sailing from the Hamble, showing the young people how to sail a “big boat”.